Baetis nymphs have a slender, dark olive-brown abdomen with darkened wing pads and thrive in tailwaters. 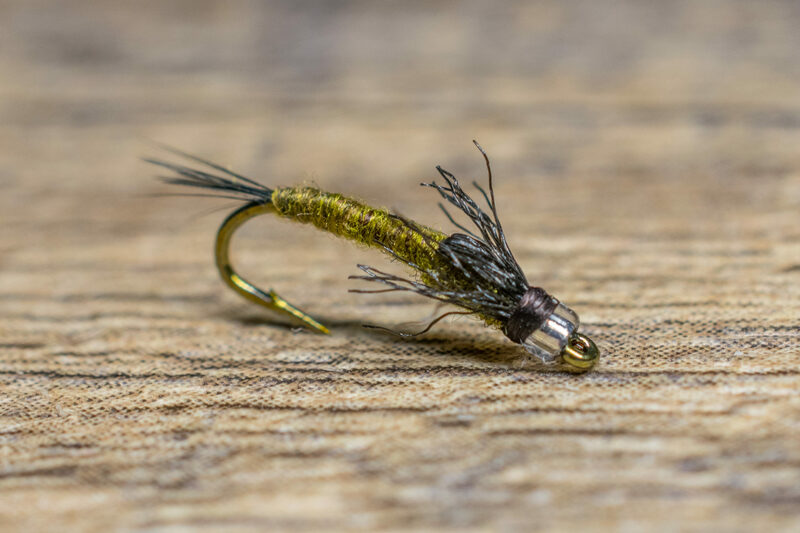 The Mercury Baetis matches the hatch perfectly with a slender, tapered olive dubbed body and Black Z-lon wing case that imitates the naturals pre-emergence wing pad. Baetis nymph imitations work year-round, however, their greatest importance is just before and during spring and fall hatches. 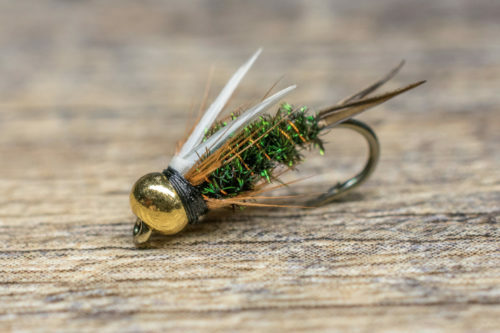 Some of the best nymph fishing of the year occurs with tiny Baetis nymphs. 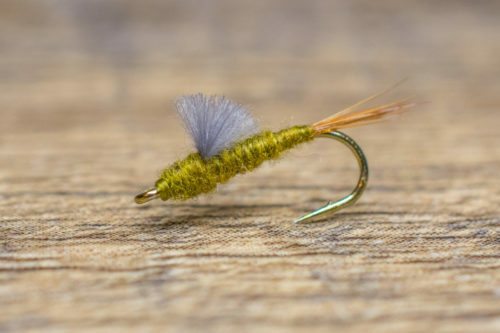 Autumn Blue-Winged Olives are one to two sizes smaller than the ones in the spring, so we often carry Baetis nymphs in sizes 18-24. 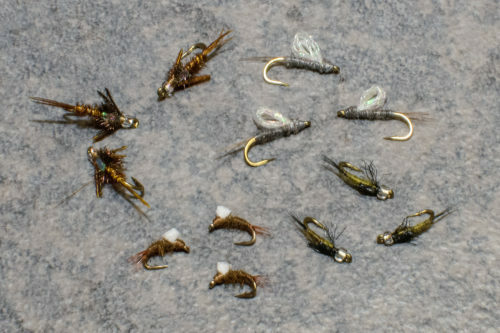 During spring and autumn, we typically begin fishing with a midge and mayfly nymph to match the prevalent food at that time of the year. When you see trout moving, shifting and lifting in the water column it is time to adjust. 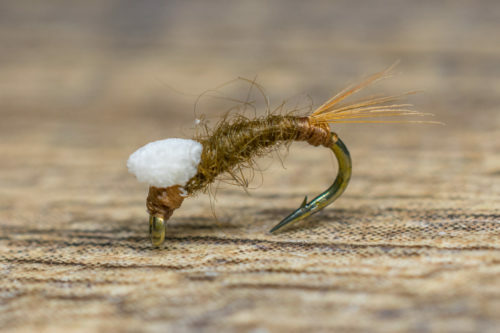 Switching to two Baetis nymphs will put the odds in your favor. Often times, we will lead with a Mercury Baetis as an attractor and trail another emerging Baetis from it.